and features our new near-indestructable roller rocker assembly with our new jumbo aluminum rocker arms. Comes with a polished billet aluminum valve cover, advice and stainless valves. Can be sold with or without manifolds. Available for J.D.S.B., remedy J.D.B.B., and IH 400 series engines. Diesel head for prostock and superstock applications. High-temp material with 4 bolt boss roller rocker assembly. Polished billet aluminum valve cover and intake manifolds, available in front-load and center-load configurations. Stainless exhaust manifold. In stock. reconditioned, in very good shape. 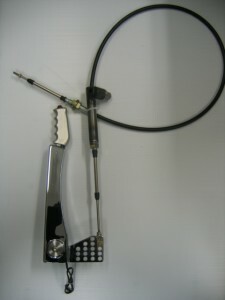 Diesel prostock or superstock applications. High temp material, will not crack. Sold with stainless exhaust manifold, polished billet aluminum intake manifold, four bolt boss rocker assembly, polished billet aluminum valve cover. Priced right. Used, reconditioned, in very good shape. Diesel prostock or superstock applications. High-temp material, will sell with or without manifolds. Four bolt boss rocker assembly, and polished billet aluminum valve cover. Priced to sell! J.D.B.B., and IH 400 series engines. and features our new near-indestructable roller rocker assembly with our new jumbo aluminum rocker arms. Comes with a polished billet aluminum valve cover, and stainless valves. Can be sold with or without manifolds. Available for J.D.S.B., J.D.B.B., and IH 400 series engines. We now have Billet Main Caps available for JDBB, JDSB, and IH 400 Series! Ready to be custom fit for your application. Eliminates the spacer block, and made of the same dense billet iron as our cylinder heads. fully adjustable throttle arm kit. Contains everything from A to Z to get you from your cage to your injector pump.